Kachoris of Uttar Pradesh and Rajasthan are extremely well known and popular. It is supposed to have originated in one of these states. This recipe includes sattu and hing/asafoetida as the filling of the kachoris. Sattu or Chhutia are ground powders of pulses and cereals like horse gram (chana dal), green gram, jowar, wheat, oat, barley, etc. This filling is popular in Bengal and the kachoris are served hot with Aloo Dum . Knead the maida and whole wheat flour in to a dough by adding required water, ghee and salt and keep aside. Meanwhile knead the sattu with a little salt and water. Then heat oil in a pan and and add the sattu. Let the sattu become soft, remove from fire and add Chilli powder, crushed coriander seeds and asafoetida/hing and knead well into a dough. Now make small balls of the hing dough and keep aside. 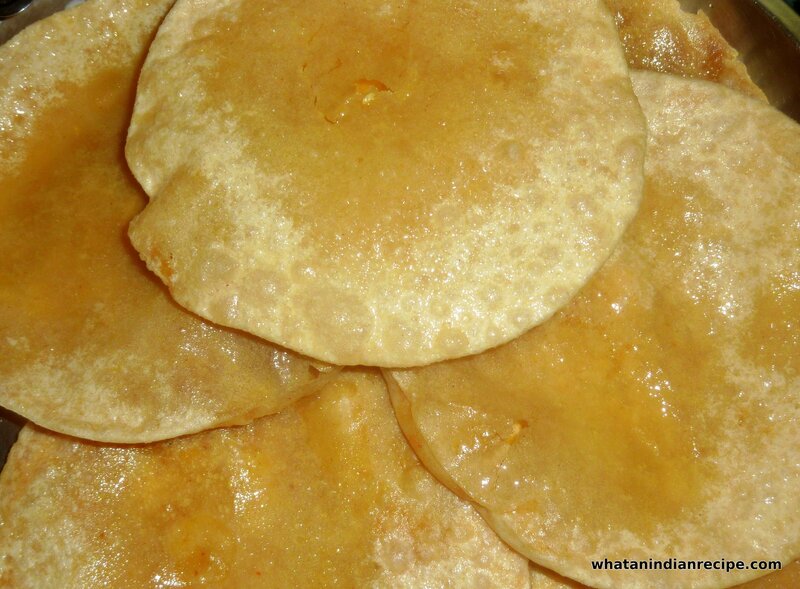 Now make medium sized balls of the flour dough and roll out as a small circle then place a small ball of the hing mix and enclose it in the flour dough and roll out as puris and then deep fry them. Serve hot with aloo dum or green chutney.